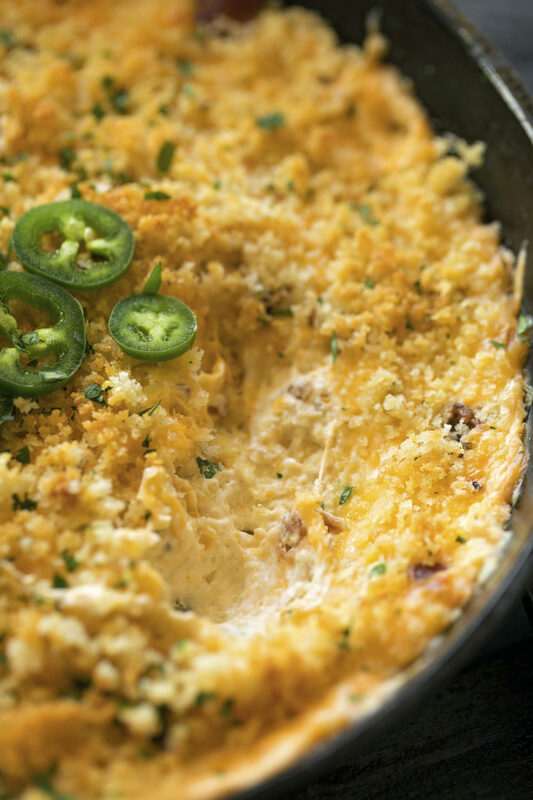 This creamy, cheesy jalapeño popper dip is loaded with peppers, bacon and topped with buttery breadcrumbs. Serve it warm with your favorite chips. Raise your hand if you love jalapeño poppers! 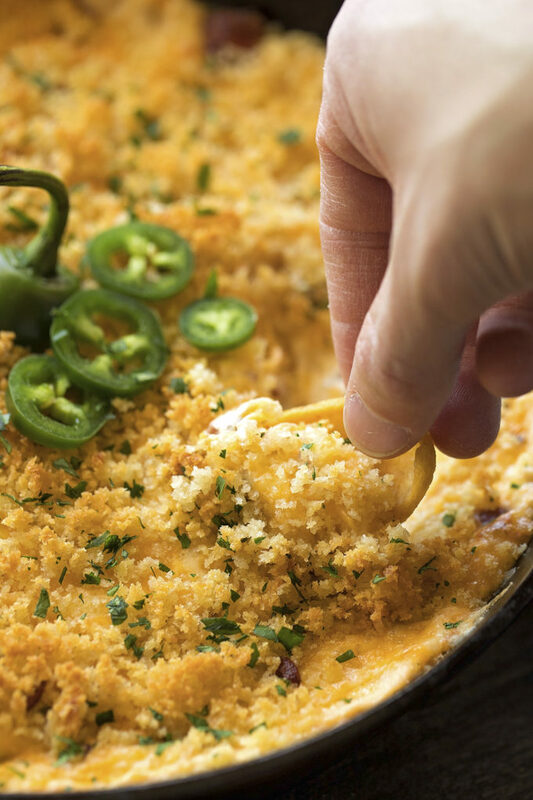 🙋 I’ve transformed them into a warm, cheesy dip that’s going to knock your socks off. Seriously though, IT will be the hit of the halftime show! There’s something incredibly tedious about making jalapeño poppers. You have to carve out the peppers and de-seed them, make the filling, wrap them all in bacon, and cook them until they’re perfect. This dip takes all the fuss out of the process. It’s incredibly easy to make and even easier to tone down for those of you that like jalapeños, but don’t want to be fanning the flames all night long. What pan should I make this dip in? I’d suggest using a cast iron skillet (if you have one) or a non-stick oven-safe skillet. It should be about 12-inches in diameter. 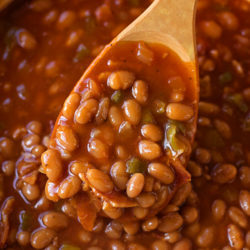 This is a stovetop-to-oven recipe (and by that I mean you cook the bacon in the same pan as you bake the dip in to eliminate an extra dirty dish #lazy), so it should be something that can transfer safely. You’ll start by frying up 4 pieces of bacon until they’re nice and crisp. Transfer them to a paper towel lined plate and let your pan cool off while you’re making the filling and topping. 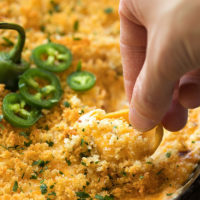 For the filling you’ll mix together a blend of spices, along with cream cheese, sour cream, diced jalapeños, diced green chiles, bacon crumbles, and grated colby jack cheese. I like to do this with a stand mixer, but a hand mixer works well too. Can I “lighten” up the filling? What if I don’t want it to be so spicy? This recipe calls for 1 (4 oz.) can of diced jalapeños and 1 (4 oz.) can of diced green chiles. It’s spicy but not overpowering. If you want it MILD, use 1 tablespoon of diced jalapeños (mince them up) and a can of mild green chiles. Once you have the filling mixed together, combine the melted butter and panko breadcrumbs together, then assemble. By now the pan should be cool enough to discard the grease and wipe the pan clean. Just carefully clean it with a few paper towels folded over. Transfer the filling into the skillet and spread into an even layer. Top with the reserved cheese, then sprinkle the buttered breadcrumbs over top. Transfer to the oven and bake at 375 degrees for 15-20 minutes. The edges of the dip should bubble and the breadcrumbs should be golden brown. 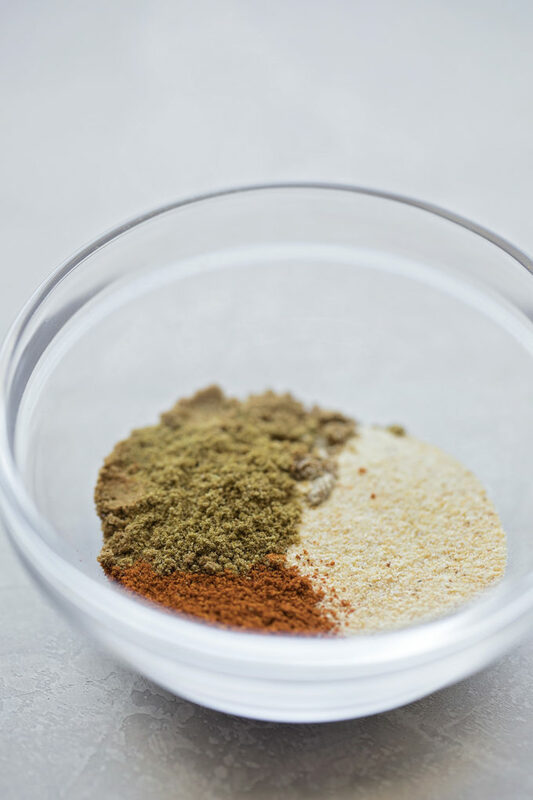 If you want the breadcrumbs to be extra crispy, you can turn your broiler on and carefully watch them until they reach golden brown perfection. Grab a BIG bag of Frito Scoops (personal preference) and serve warm. This dip is best eaten straight from the oven. 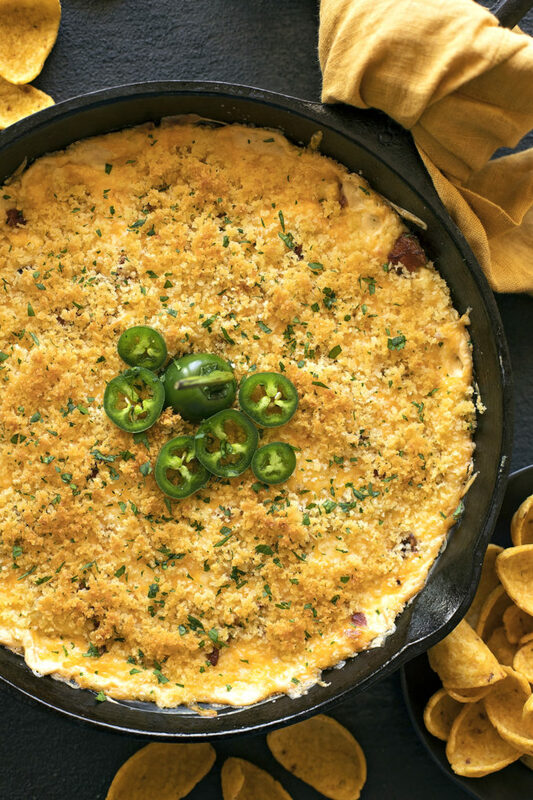 We absolutely loved this jalapeño popper dip and hope you will too! 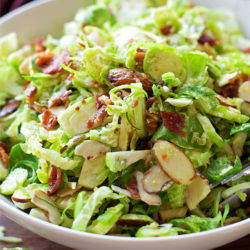 It’s the perfect appetizer for game day or for special occasions. This crowd favorite will have everyone coming back for more! Place a 12-inch cast iron skillet or non-stick oven-safe pan over medium heat. Cook bacon until crispy, transfer to a paper towel lined plate. Crumble once cool. 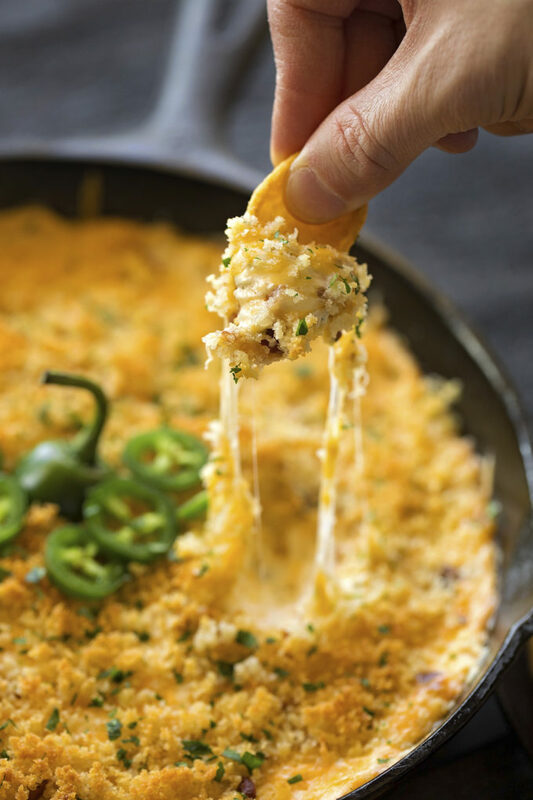 While the pan is cooling, in a large mixing bowl or the bowl of a stand mixer, add the cream cheese, sour cream, diced jalapeños, green chiles, 1 1/2 cups Colby jack cheese, garlic powder, coriander, paprika, cumin, and bacon. Using a hand mixer or the stand mixer, mix until thoroughly combined. Pour the grease out of the skillet and discard. Wipe the skillet clean with a paper towel. Transfer filling into the skillet, spread into an even layer using a spatula. In a medium microwave-safe bowl, melt the butter. Add the breadcrumbs and toss until coated. 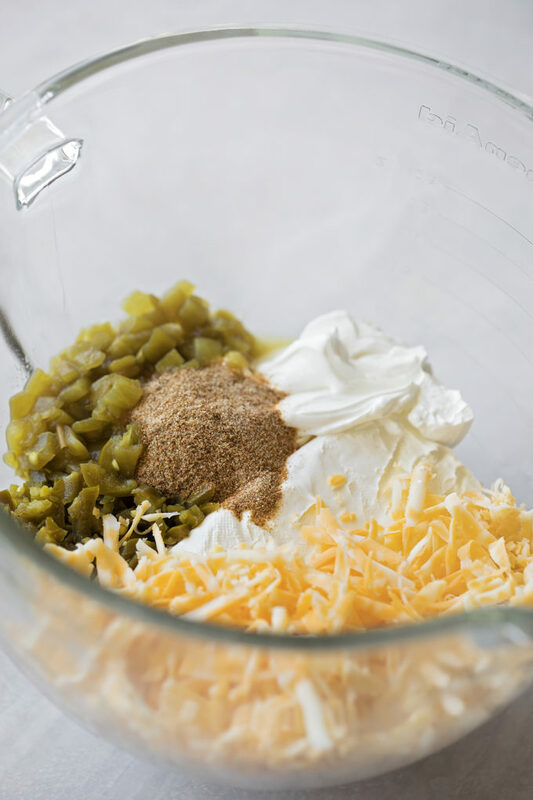 Sprinkle the remaining 1/2 cup of cheese over the filling. 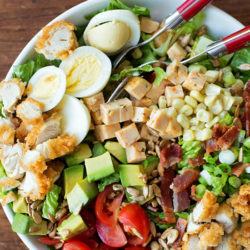 Top with buttered breadcrumbs and transfer to the oven to bake for 15-20 minutes or until bubbly and the breadcrumbs are golden brown in color. Garnish with freshly chopped parsley, if desired. Serve warm with your favorite chips. -Don't want it so spicy? Try using all mild diced green chiles instead.